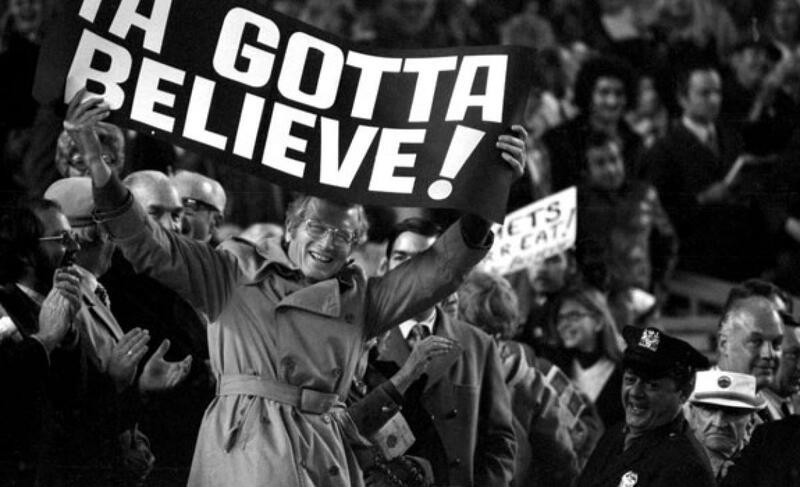 Game Recap: Marlins 4, Mets 3, Matz and Clippard human | We Gotta Believe! The Mets (75-61) lose another tough one to Miami (57-80) in walk-off fashion by a score of 4-3. The Mets started off well, with a long solo home run by Yoenis Cespedes and a double by Michael Conforto in the first inning against starter Jarred Cosart. However, the Mets left Conforto at 2nd base in the first of multiple missed opportunities. After a leadoff walk, a steal, and a fly ball, Steven Matz allowed the run right back in the bottom of the first on an RBI single by Marcell Ozuna. Matz settled down, and though he didn’t have his best stuff, fought to keep New York tied until a solo home run by Jeff Mathis in the 5th inning. The Mets came right back though, after a single by Yoenis Cespedes and a two-run home run by Wilmer Flores against lefty Chris Narveson. This put the Mets in front 3-2. Matz left after 5 1/3 solid innings pitched after developing a blister on his left middle finger. Hansel Robles got the Mets through the 6th, and Addison Reed through the 7th. In the 8th inning, after getting the first two outs, Tyler Clippard allowed a long solo home run to pinch hitter Justin Bour, tying the game at 3. In the top of the 9th against Marlins closer A.J. Ramos, the Mets loaded the bases on two walks and an infield single, putting the go-ahead run at third base with only one out. Travis d’Arnaud, however (pinch hitting for Kevin Plawecki) grounded into an inning-ending double play to keep the Mets off the board. In the bottom of the 9th, Clippard allowed a lead-off base runner on a strike-out wild pitch. After striking out Ichiro Suzuki, he allowed a single to Dee Gordon and intentionally walked Christian Yelich. This loaded the bases with one out for Martin Prado, and after a long at-bat, Prado hit a line drive right at Yoenis Cespedes in left field. Pinch Runner J.T. Realmuto scored from 3rd base for the walk-off win. This was another defeating loss in a game the Mets had to have. With Washington having won 8-4, this narrows the Mets’ division lead to just four games going into a three game series in Washington. It’s tough to get on Clippard here – Clippard has been absolutely fantastic since joining the Mets, and allowed just his second and third runs as a Met. That being said, the Mets were just 1/6 with runners in scoring position today (the one being Ruben Tejada‘s infield hit in the 8th inning). With just a fly ball needed to give the Mets the lead, d’Arnaud couldn’t deliver. The Mets open a big series in Washington D.C. tomorrow afternoon at 1:10, with Jon Niese facing Max Scherzer. Daniel Murphy pinch hit in today’s game, and grounded into a double play. He is expected to play tomorrow. Terry Collins is doubtful Clippard will be available for tomorrow’s game.